We like to think that everything in the medical community is held to a higher standard than other arenas. Medical devices, like all medical treatments, are subject to rigorous scrutiny and even minor problems are quickly found and fixed. Unfortunately, like with manufacturers of cars, factory equipment, or any other type of product, manufacturers of medical devices are concerned first and foremost with their bottom line, not on the welfare of the people who actually use their product. A new study from Indiana University found that manufacturers will avoid recalls of defective medical devices until absolutely necessary, instead, relying on doctors to detect and screen out the dangerous products. Continue reading for details about the study and the alarming behavior of medical device manufacturers, and contact an experienced Indianapolis personal injury lawyer if you’ve been injured by a defective medical device. Researchers at Indiana University (IU) have been investigating the behavior of medical device manufacturers and, specifically, what leads to a recall. 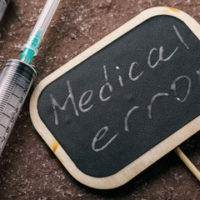 According to the researchers, the Food and Drug Administration (FDA) is often unable to order a recall because it is difficult for the FDA to determine if there is a product-wide defect; it is therefore up to the manufacturers to police themselves. The IU study put manufacturers in a series of fictional scenarios involving defective products to see how they would react. The results were alarming. Manufacturers tended to rely on doctors to screen out defective products, rather than issuing a recall once a clear defect was identified. The manufacturers tended to assume that if the defect was detectable, doctors would identify it and protect their patients; the easier to detect, the more comfortable the test subject felt about leaving the product in the market and letting doctors figure it out. The study subjects were often unwilling to issue a recall until they knew the exact root cause of the defect. The manufacturers wanted to be as specific as possible so that they could target only the precise defective products in a recall, to avoid wasting any money. This approach leaves defective products in hospitals for a much longer period of time while the company tries to narrow the pool of potentially defective products. The results of the study are very concerning. They suggest that manufacturers put profits over safety and are more worried about the costs and public relations damage to a recall than they are about patients around the country being hurt by their products. Relying on overworked doctors to identify defects in products that, presumably, the doctors agreed to use because they were assured the products were safe for their patients, is a problematic shifting of responsibility that creates a serious hazard for patients. Waiting until the company has narrowed down the precise cause of the defect before issuing a recall only serves to leave dangerous products in hospitals, ticking time bombs waiting to harm unassuming patients. Companies that leave dangerous products on the market should be taken to task for any injuries their products cause, and any harmed patients should get the help of a seasoned personal injury attorney to make sure they get the damages they are owed. If you or a loved one has been injured by a defective medical device in Indiana, find out if you’re a good candidate to seek damages through a personal injury lawsuit by contacting the compassionate and experienced Indianapolis defective medical device attorneys at Lee Cossell & Crowley for a no-cost consultation on your case at 317-631-5151.